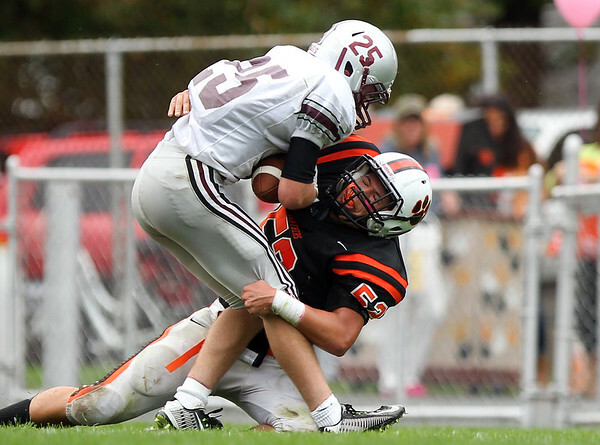 Beverly junior linebacker Sean Kalivas (52) drags down Lynn English sophomore running back Jonathan Kosmas (25). DAVID LE/Staff photo. 10/18/14.